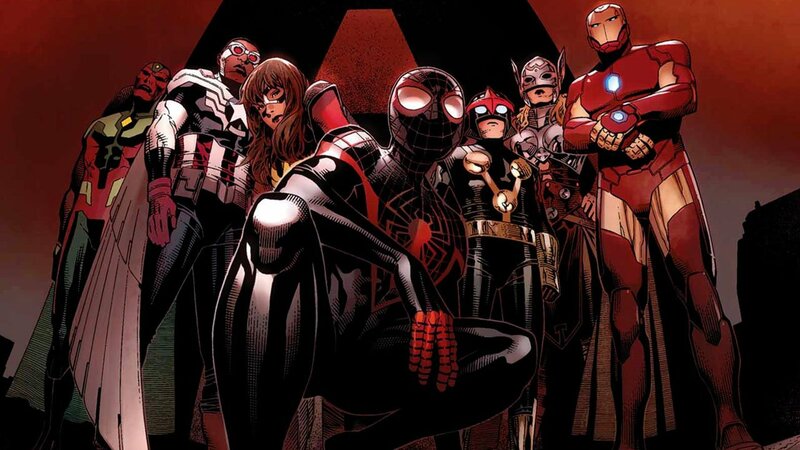 Cynics are going to love All-New, All-Different Avengers. The opening issue features several editorial decisions that on the surface can be read as if they were made by a marketing team. There’s the roster, a mix of old characters and newer ones meant to sell Marvel’s latest reboot. There’s a Chitauri villain, which gives the book its first tie to the franchise’s first movie. And then there’s Iron Man, who at one point appears in armour that’s a little too similar to the Hulkbuster suit he wore in Age of Ultron. There’s little argument that the Avengers are Marvel’s most important property. 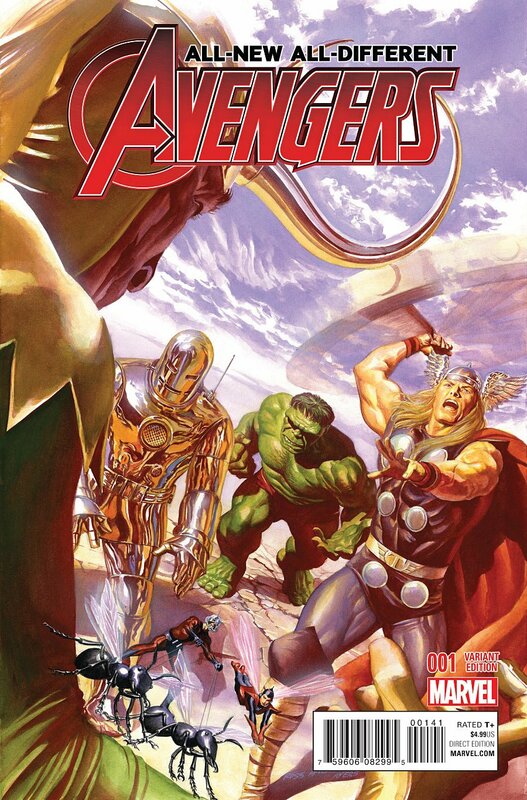 ANAD Avengers is one of four relaunched Avengers books (I’m including Ultimates), each featuring different rosters. But this is the book for the mainstream audience, and to read it with the movies’ success in mind is to overlook all the promise the first issue shows. The Avengers haven’t assembled when the issue begins—Thor and the Vision are absent—but writer Mark Waid gives all those present their own moment to shine. Sam Wilson opens the issue with a rescue that quickly turns into a moment of public debate over how good a Captain America replacement for Steve Rogers he is. It’s a contemporary scene that touches on race but isn’t heavy handed. It also shows that Wilson probably should have been in the role years ago. The new Spider-Man, Miles Morales, gets the least amount of time in the issue—a pity, since he doesn’t even have his own solo book yet—but the mistake he makes and deference he gives to Iron Man are endearing. Tony Stark meanwhile hasn’t changed much. We’re told he’s a bit poorer than he used to be, but his transformation into the Iron Man suit is a fun surprise. 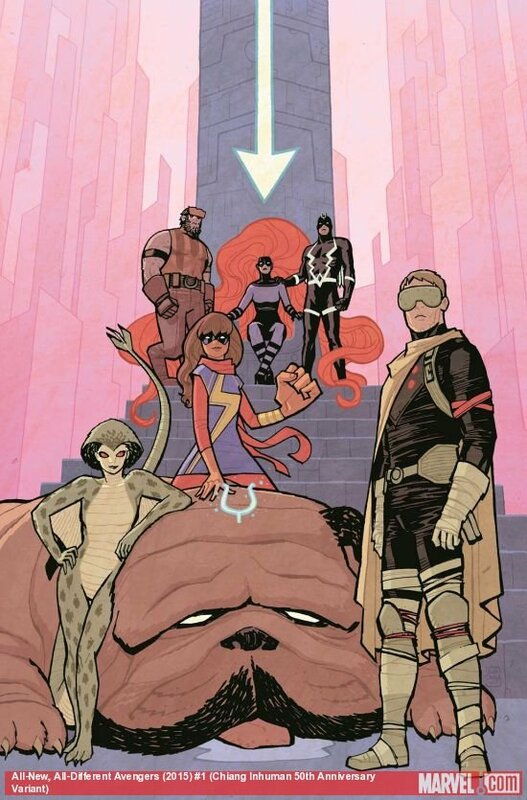 The best part of the issue is actually a sidestory at the end featuring new members Ms. Marvel and Nova. Kamala Khan is the best character Marvel has created in years, and her awkward introduction to a flirtatious Nova is hilarious. The mentorship dynamic Waid is setting up between old and fledgling Avengers isn’t subtle, but given the personalities involved, it’s hard not to get excited by how it will play out. If there’s a weakness to the issue, it’s a thin plot featuring a generic villain. Waid can be cut some slack—this issue is all about setup after all—but Warbringer is hardly a threat worthy of bringing the Avengers together. It’s hard not to be disappointed that Waid didn’t go with a better-known villain to kick off his run with. That said, there’s enough here for readers to get excited about. As long as Waid doesn’t waste too much time bringing his team together, Marvel is set to have an Avengers book worthy of the name. The Avengers haven’t assembled when the issue begins—Thor and the Vision are absent—but writer Mark Waid gives all those present their own moment to shine.